Today is Canada's birthday! 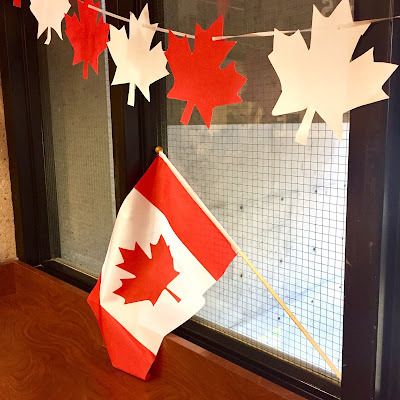 Our country is 151 years old today (actually pretty young if you think about it...) I'm happy it's Canada Day once again because it means the festivities for the 150th are finally over! Living in the capital meant that for the past year, everything and anything was celebrated to mark the 150th. Don't get me wrong, I'm down for a good celebration, but this year was long. I remember thinking it was a nice break when we went out to my parents for a week last summer. They live a few hours away, but in their neck of the woods, the festivities were much tamer! That's when it really hit me that things back home were a little out of control. Anyways, I think I'll keep things low key this year and just enjoy a leisurely long weekend! How cute are these little silver seahorse earrings? They were a gift from my mom. She got them on her recent trip to Prince-Edward Island. I've always loved seahorses and said they were my favourite animal when I was a kid. Mama knows me so well! 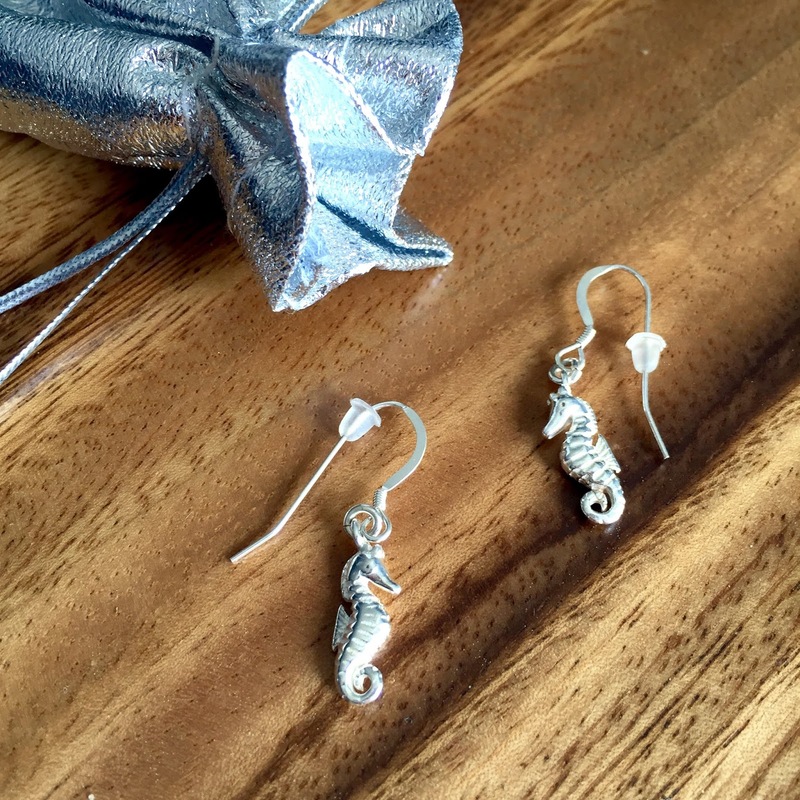 They are the perfect summer earrings and add a touch of the sea to any look! How gorgeous is this skirt? 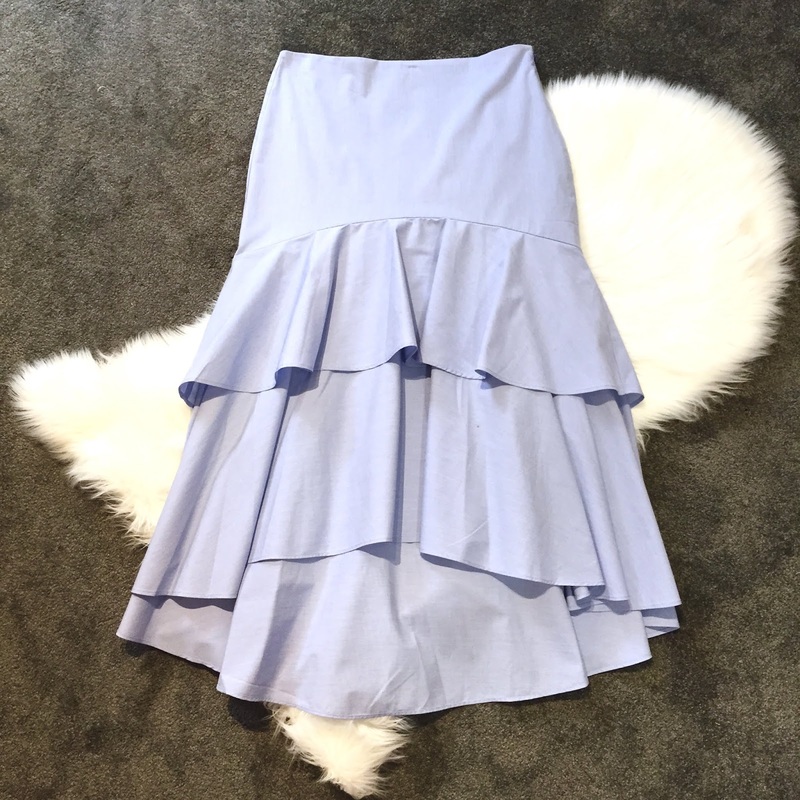 It's a beautiful shade of light blue, has the biggest ruffled tiers and is a high-low silhouette. It's got drama and class all wrapped in one! It's actually very fitted in the top part and is high-waisted, but the bottom half is very voluminous, giving it a super flattering fit. Banana hits it out of the park once again! I can't wait to style it, but the question is: will I style it in a sweet and feminine way or will I go more casual? Adding a lacy top and some heels would dress it up while sneakers and a jeans jacket would make it perfect for a weekend brunch. The sky's the limit! Last weekend, we went on a little day trip to check a few more things off our wedding to-do list. It was time for our wine tasting! I have to say, this has been one of the fun things! 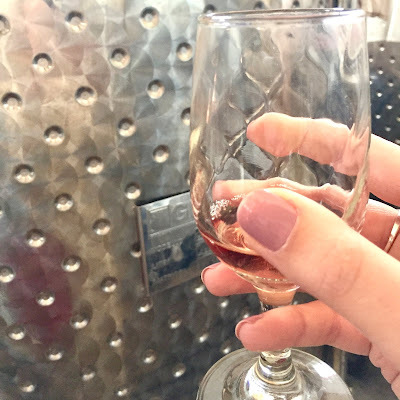 Actually, anything involving food or drink is usually exciting to me (seeing as I am very food driven...) I especially like these tasting bits because you can get a sense of what flavours and tastes your big day will have. I typically have scent memories, so I will always associate my wedding with certain flavours. The wine tasting was one of those memories in the making. I kept thinking to myself: "Can I picture myself drinking this on my wedding day?" and "Does this flavour profile fit the theme and feel of the day?" 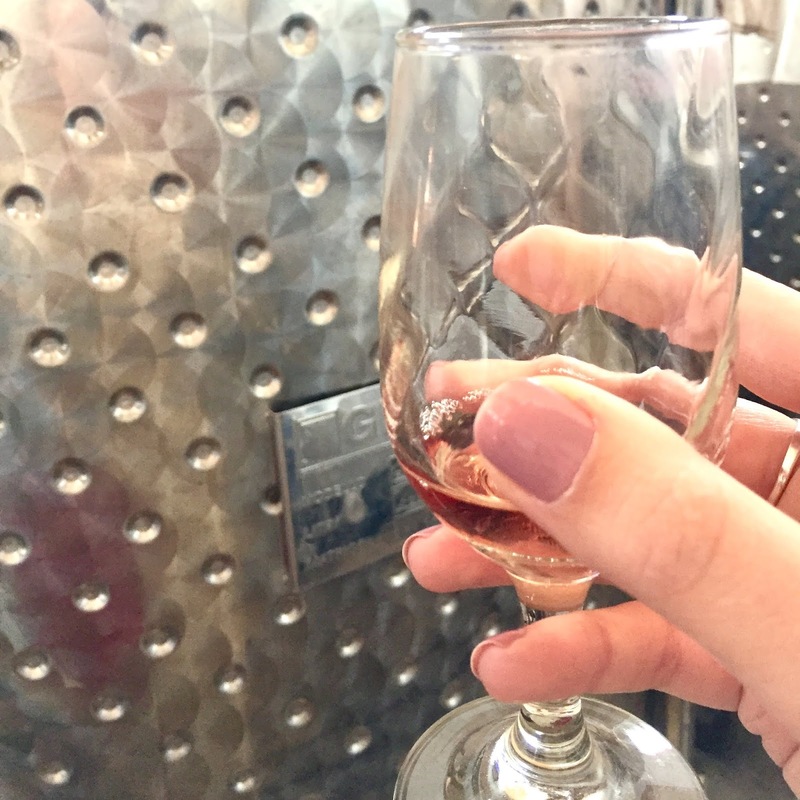 It might sound a bit odd, but I've always had a very keen sense of smell, and it's important to me that smells and tastes I enjoy are associated with my wedding day. Now that we have the most essential bit (ha!) picked out, I'm already looking forward to the catering and cake samplings! Ever since we redid the kitchen (out of necessity), we knew that copper accessories would look amazing in it! We actually focused a lot on that room during the renos and it's the only one for which we really changed the floor plan. Our palette is very neutral with light grey cabinetry, stainless steel appliances, black counter top and neutral, backsplash. The kitchen is open to the main living space which is very blue and has pops of orange in it. 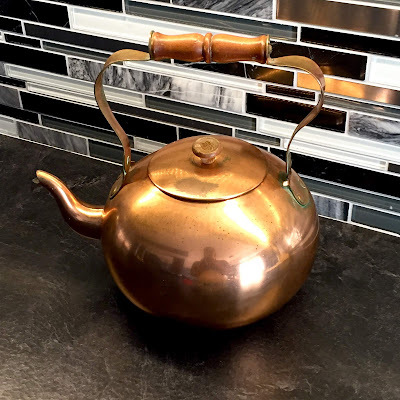 In order to tie the two rooms together, we are trying to bring some copper tones into the kitchen. We drink a lot of coffee/tea, so our kettle is pretty much always on the counter. My fiancé has been wanting a copper kettle/tea pot for a few months now. I had tried finding one during the Holidays, but was unsuccessful. You can imagine my excitement when I randomly came across this one in a boutique! It was perfect and just in time for his birthday!